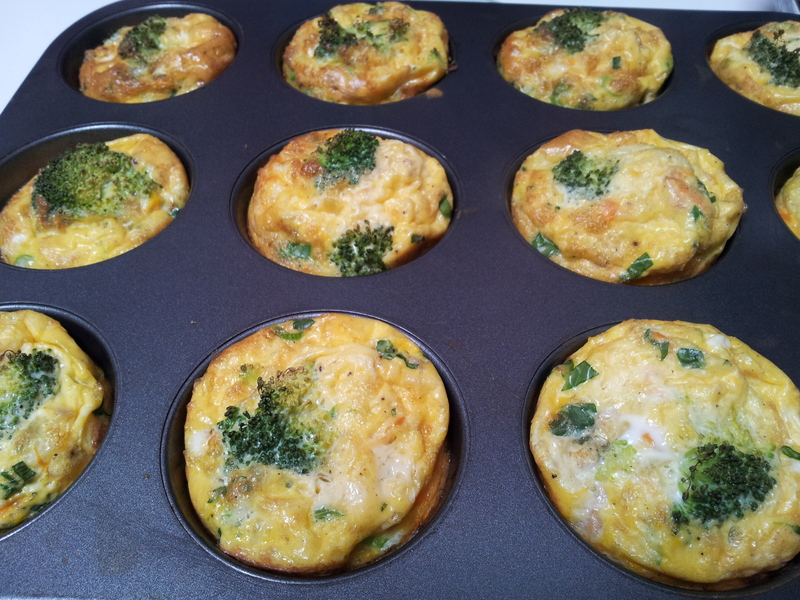 Bake a batch of mini quiche and discover how delicious they are! 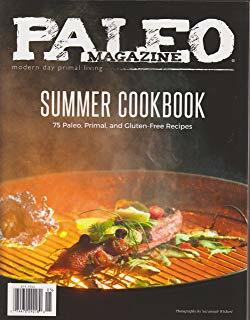 Fantastic for the whole family. A small quiche can be part of a meal or a great snack. 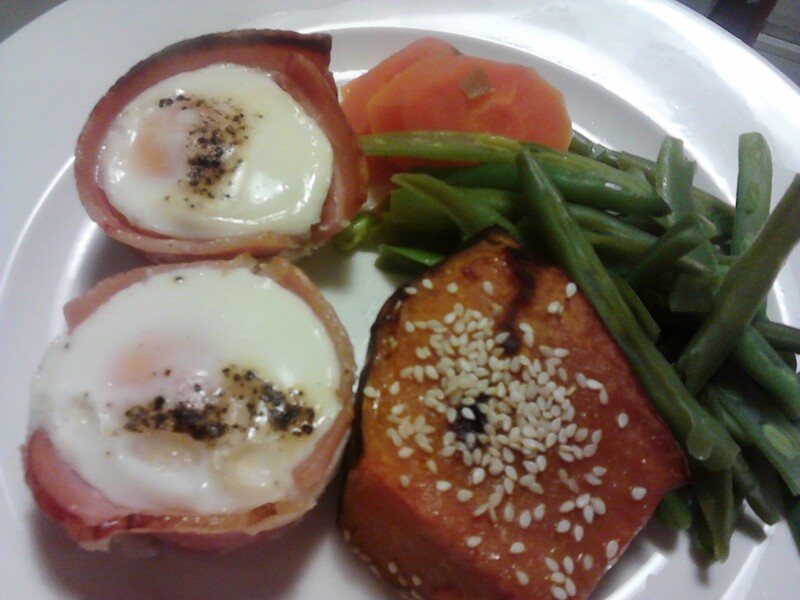 The basic ingredient of the mini quiche is eggs (preferably free range or organic). What you add to the mix is entirely up to your preferences. This could include seeds, nuts, vegetables, cheese and seasonings as examples. Mix in a bowl eggs, grated carrot, spring onion green tops, parsley, a meat such as tuna (optional), pink rock salt and black pepper. 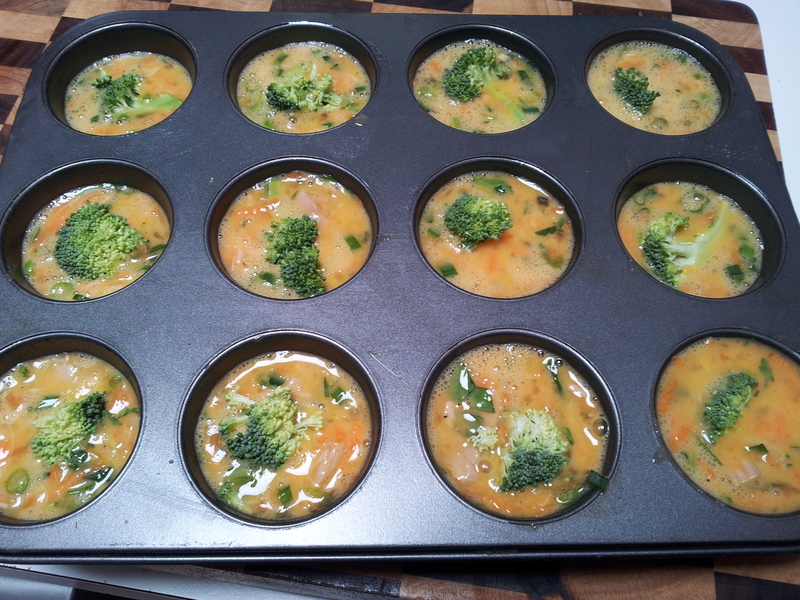 Grease the pan well or use patty pans and pour the mix into each hole then place a piece of raw broccoli in the centre of each. Cook in a 200 degree celsius oven until firm and golden. These muffins are poured directly into the pan. Ensure you grease it well. Nice and golden,. Use a knife to cut around the edges and gently pull out. Egg and bacon quiche are delicious straight out of the oven. 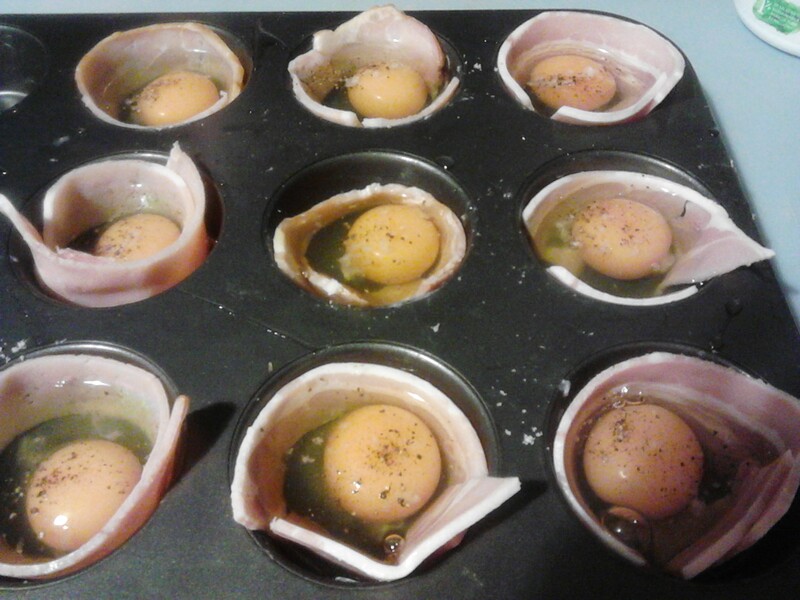 Place a strip of bacon into the greased tray and crack an egg into each hole. Season with pink rock salt and black pepper. 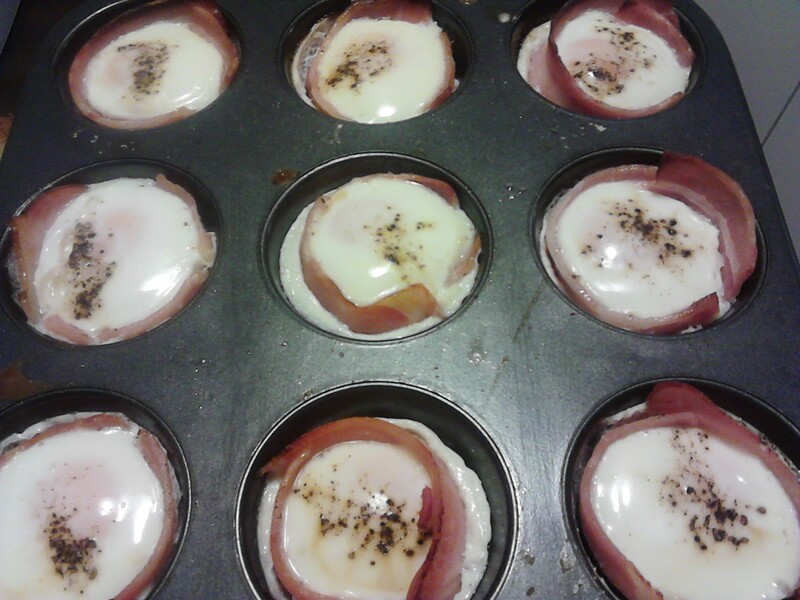 These simple egg and bacon snacks are so easy to make and the bacon makes them easy to lift out of the pan. 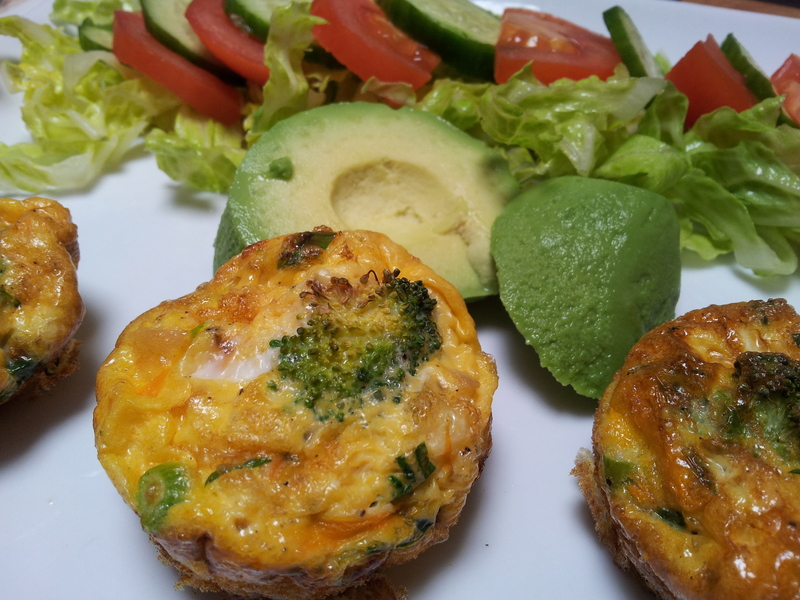 Mini quiche are also a great snack and lunch box filler. Have the leftovers the next day with a salad for lunch or grab one for morning tea. Alternatively enjoy the quiche the next night by gently reheating in the oven and serving with a delicious salad or roast vegetables. 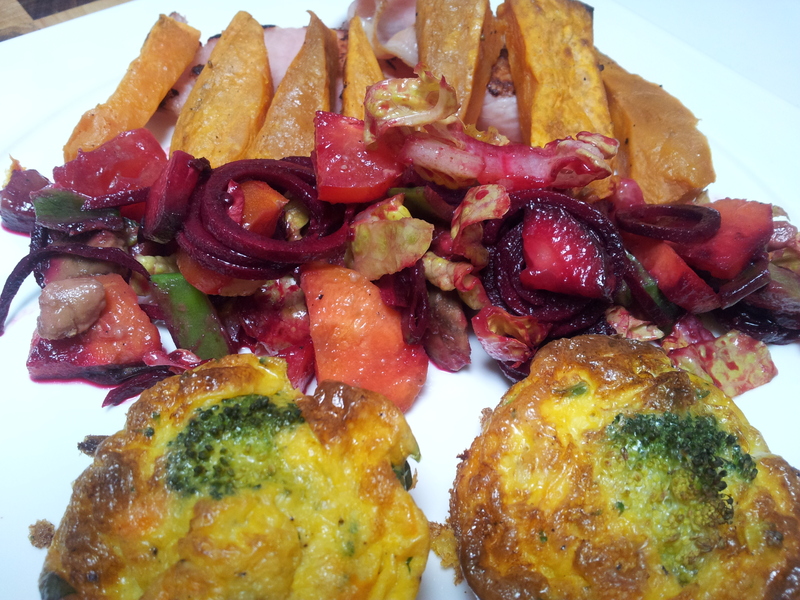 Small broccoli quiche with a beetroot spiral salad, sweet potato chips and bacon. Quite a combination.